A Close-Up of Bad Makeup – Contouring Disasters!! So, you have wanted to achieve that Kim Kardashain’s contouring and you have tried many times but failed miserably. Fail or no fail but never do such disaster with yourself, as these celebrities have done!! Now, Eva does it then who to blame :). This pretty gal, always seen so perfect, now gets ditched by her concealer.Overdoing anything is always bad. Contouring is an art, a secret behind those perfect cheekbones, chiseled features and those perfect symmetric faces. Contouring is a makeup technique, when done correctly, can enhance your bone structure to create a defined and thinner look. OMG!! What’s this? Do we expect our admired celebrities to turn up like this!! I am not critical of anybody but better than this would have been an all washed, plain no makeup look. I am sure Drew B. is much much beautiful than shown here. Eva’s white shows pretty bad makeup job. Couldn’t she hire someone better!! 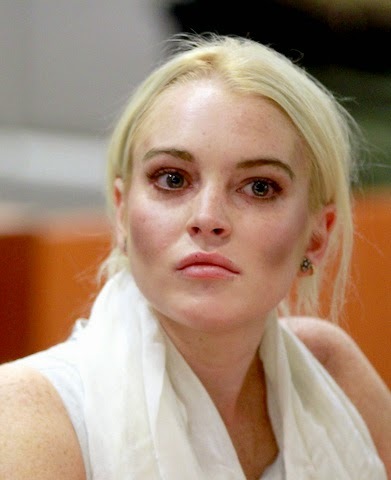 Now this is obviously too dark a shade for Lindsay Lohan. A soft lighter shade would have made a huge difference!! Added to that, a little gloss and light smokey eyes would have made her look so beautiful. I love this superwoman but here, I don’t know what to say. Like her nose got dipped in white paint!! Contouring is for enhancement of features, not for creating fake painted face. Highlighting is not whitening. Disasters happen but we learn from them, from other’s mistakes :). Having a quick look in the mirror before leaving home can save us from such makeup disasters, no!! Test your makeup in different lightnings, sun, flash, everything!! Omg these pics are horrible.. Makeup disaster!! Wow! Cool review. I can't also imagine how its possible for celeb to make this kind of mistakes. Omg I never laugh so hard and the sad thing is they have makeup artist who suppose to know more and not let them be seen that way. Good post! I really don't contour, but I make sure my makeup looks presentable 🙂 That's a great point you made how checking your makeup before you go out can present makeup disasters. Contouring is either not for them or not done right for them obviously. I think they would have been better off with some liquid foundation and powder! Celebrity disasters style of make up, they look so funny. I do not no how come they left home looking like that. I love this post! I'm rubbish at contouring so I feel like I look like this everyday too haha! All of these made me cringe! hahaha…Few of these are just so crazy Charu..Lovely post! too much of everything —make up definitely as it advantages. hihihi i'm agree with u…so funny post! 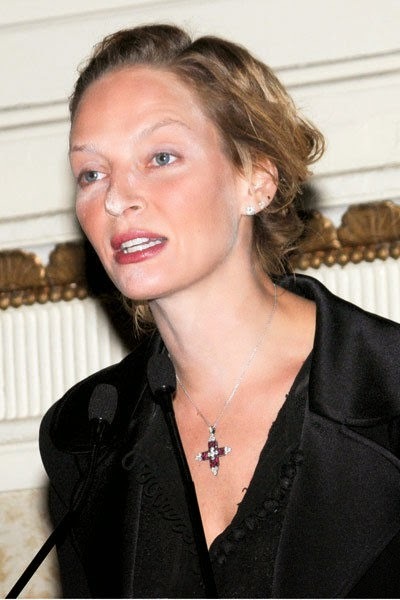 Such a shame,some even would look awesome without the terrible makeup. I seriously dislike that tendency to draw a mask on your face. I see that lots of people try to brighten up the whole area around the eyes, but there is a very thin line to make it look totally artificial and ridiculous. Contouring is an art and I can't agree with you less that these are horrible. Drew B. is one of my faves and here its like she's a ghost. Actually those professional cameras throw in so much light that they can catch even a slight imperfection. So on red carpet you need yourMA to be more than a artist. Love this post of yours. And I gotta accept that even IN cnt contour properly so I let it be. Followed you back on bloglovin. Sorry for the delay. And thnkz for your nice comments. eeeeek some of those are bad.. especially drews!? OMG! some of them look prettier without make up. Oh my. Some of them are better off with nothing then what they applied. What a mess! I couldn't help but chuckle. Looking in the mirror beforeleaving home is a must. Fab post! 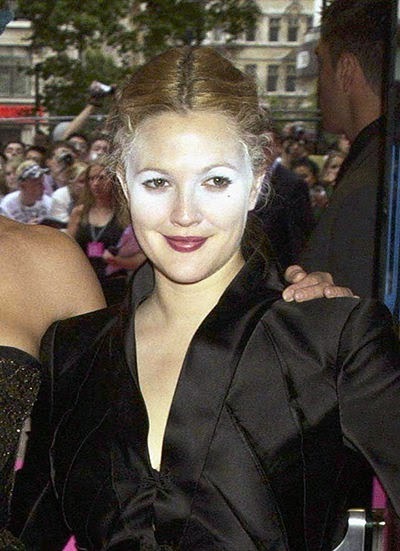 OMG Drew with that powder on her face is terrible O.O!!! Great post dear! WoW! Great compilation on bad make up!!! Really funny to see this! I love your blog, I followed you right away! Loved this post, there's something thats always so interesting with seeing celebrities with bad makeup and stuff, it reminds you that theyre just as human too! Your blog is fascinated, talk about makeup is always so interesting. I just saw a post about this too. They look normal in regular lighting but then pop goes a flash on a camera and in the picture they look like they've dunked their face in white powder. You'd think their makeup artists would know better. lol..